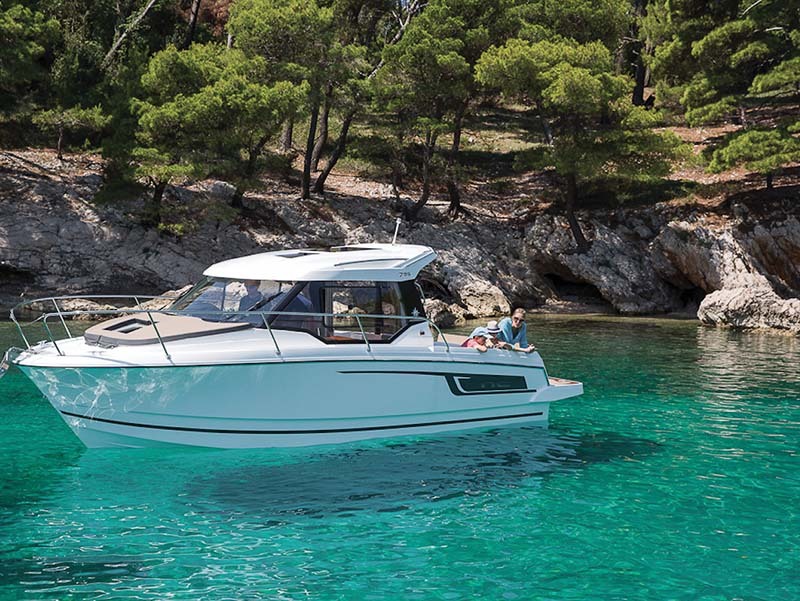 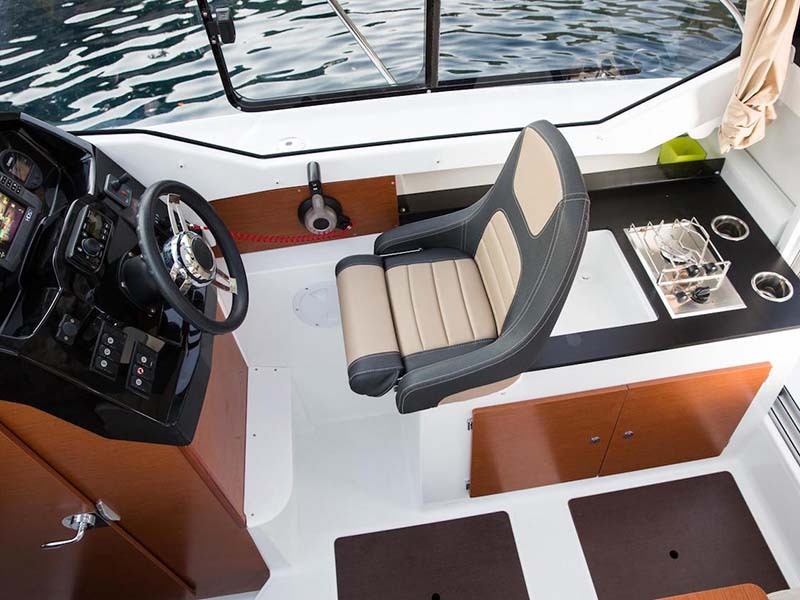 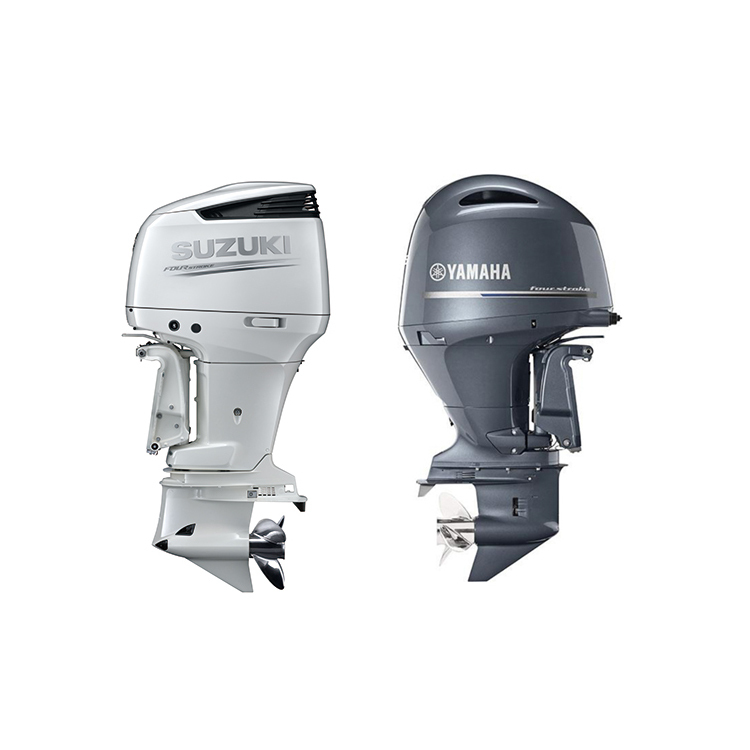 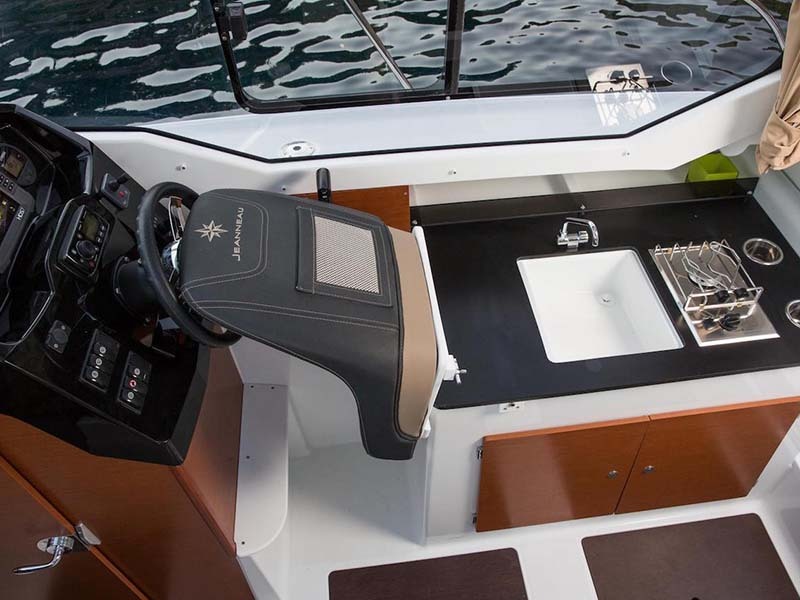 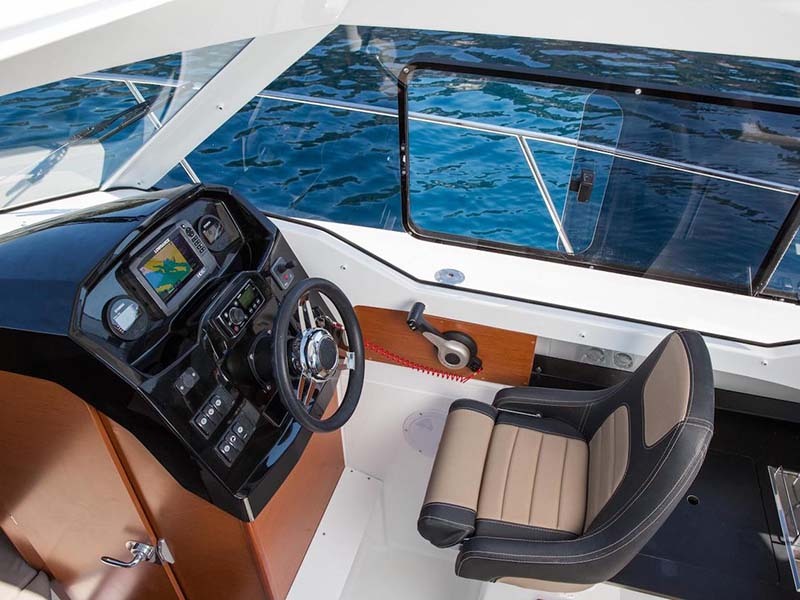 Like all Jeanneau powerboats, the all-new Merry Fisher 795 delivers strong performance for family cruising in the Puget Sound or Columbia River. 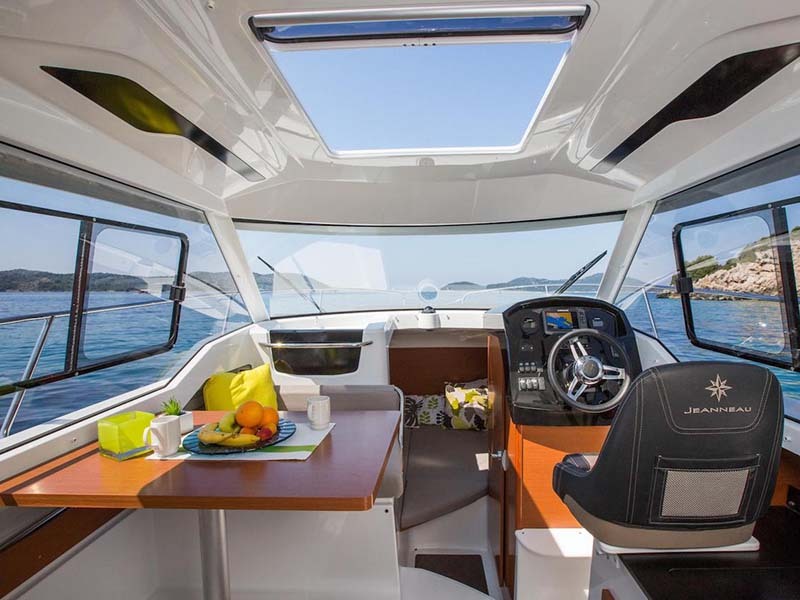 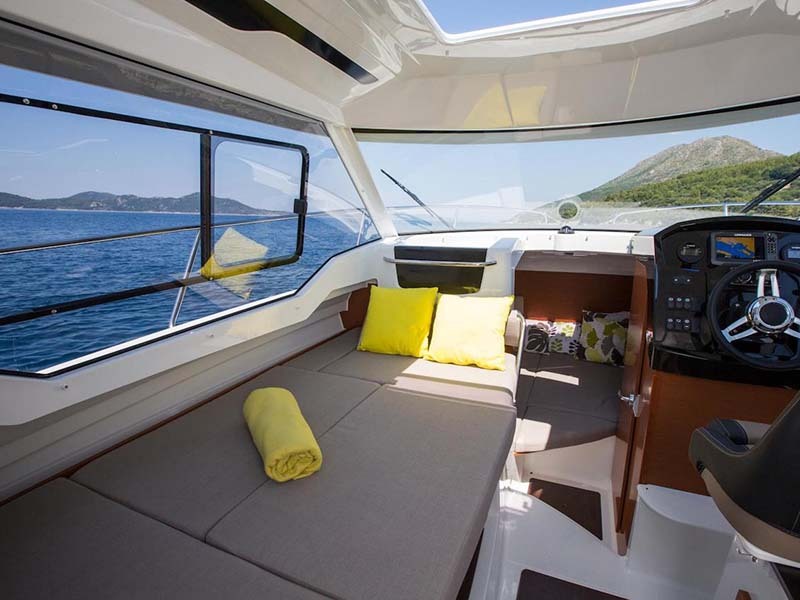 Its spacious cockpit with U-shaped seating, which can convert to a sundeck, makes for relaxing summer days. 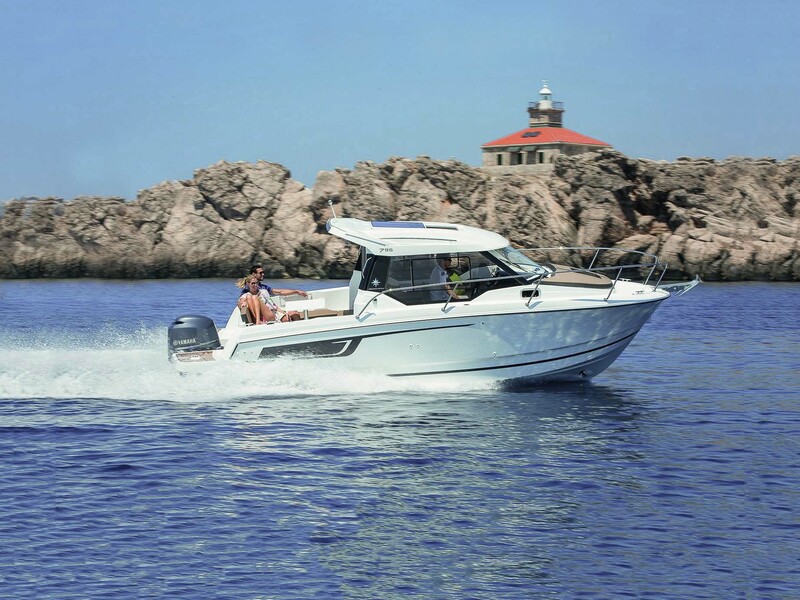 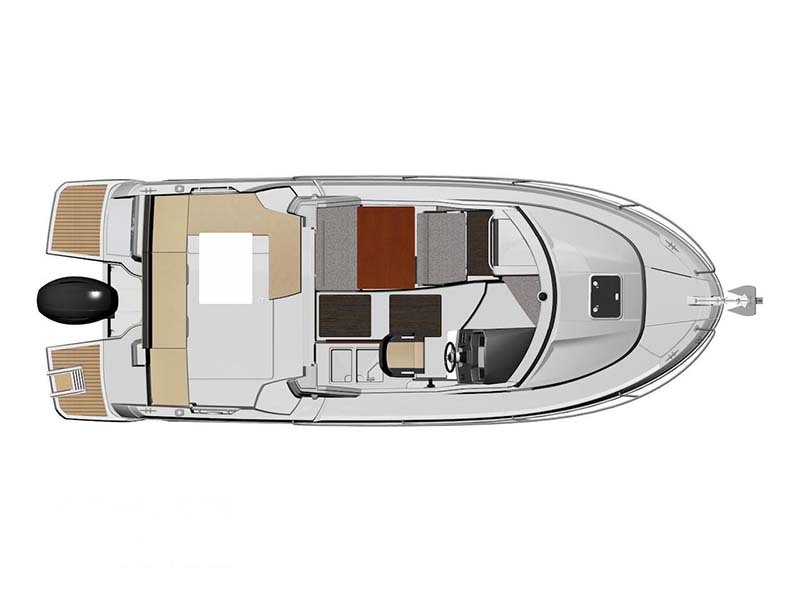 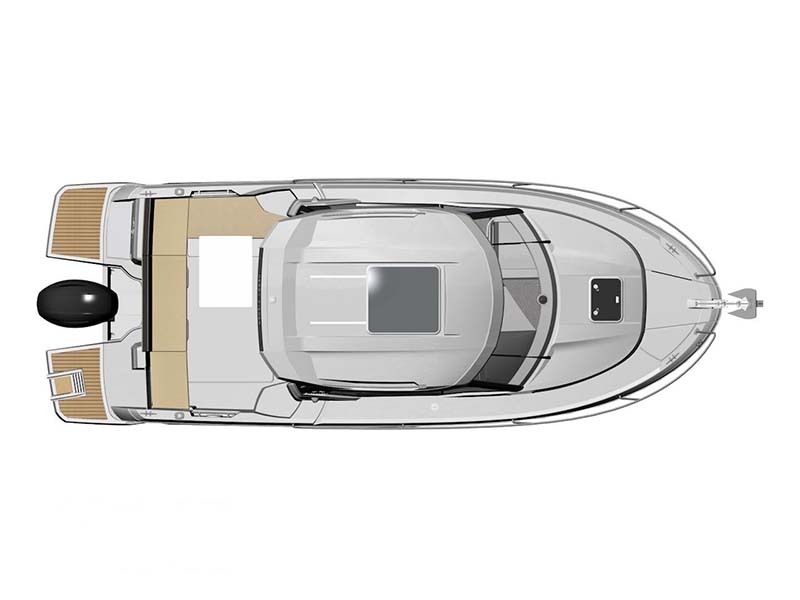 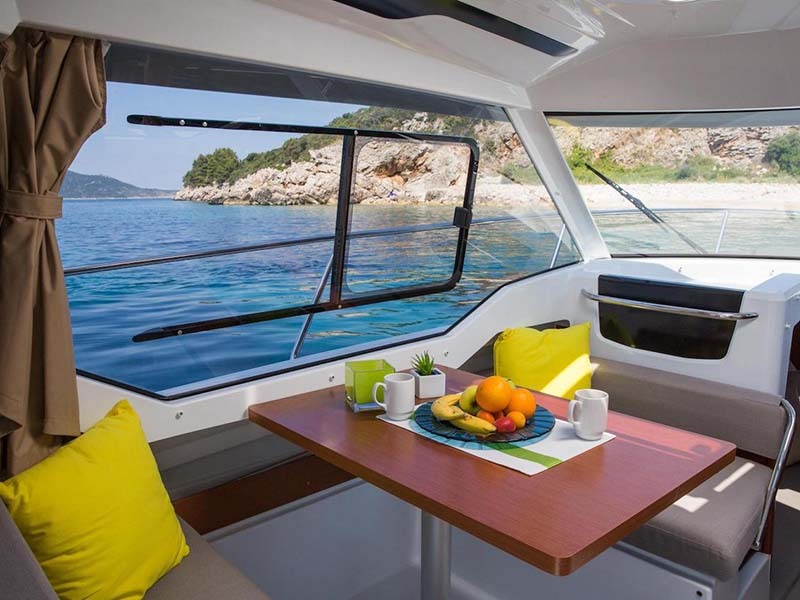 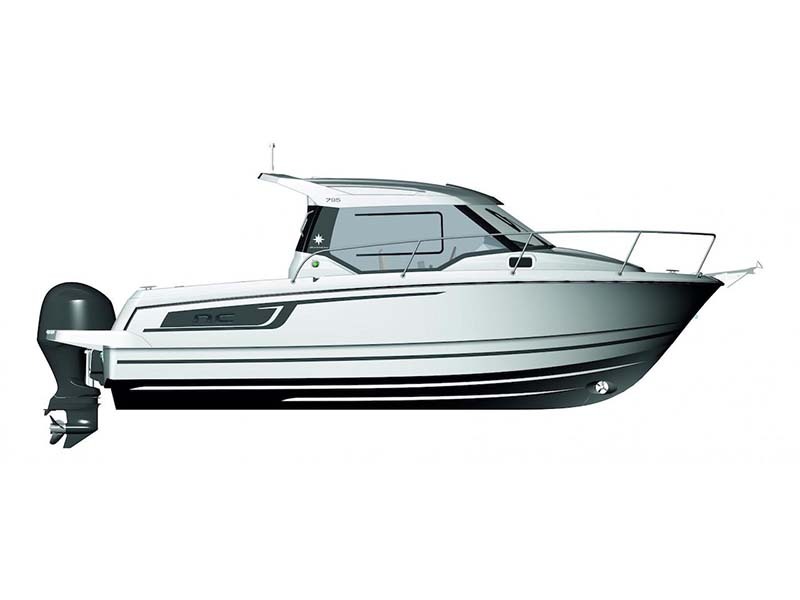 Plus, it’s a four season boat with a fully enclose pilothouse and comfortable forward cabin. 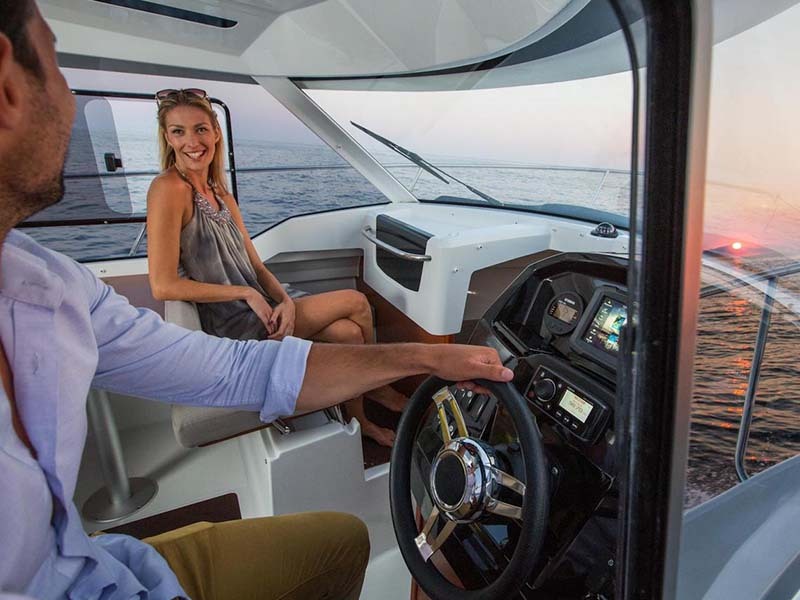 Any time of year you’ll enjoy 360 degrees panoramic visibility plus a sliding sun roof that fills the pilothouse with natural light and air. 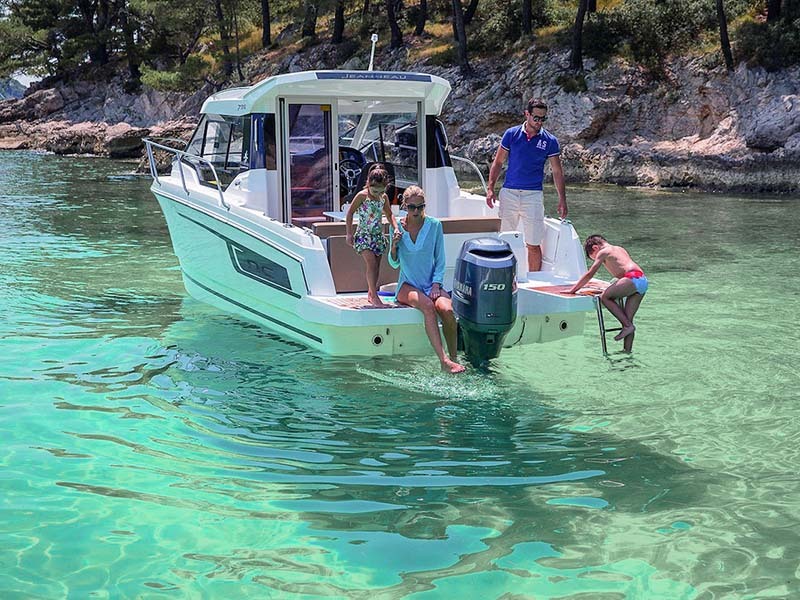 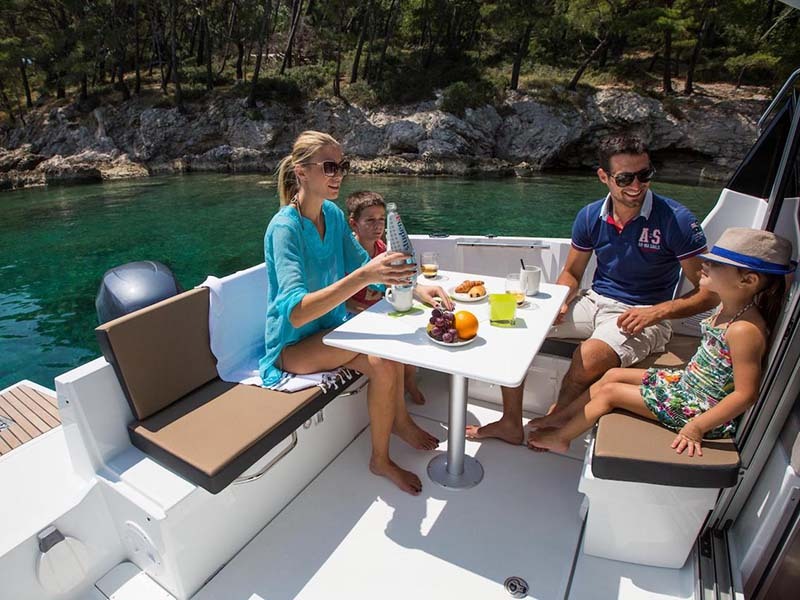 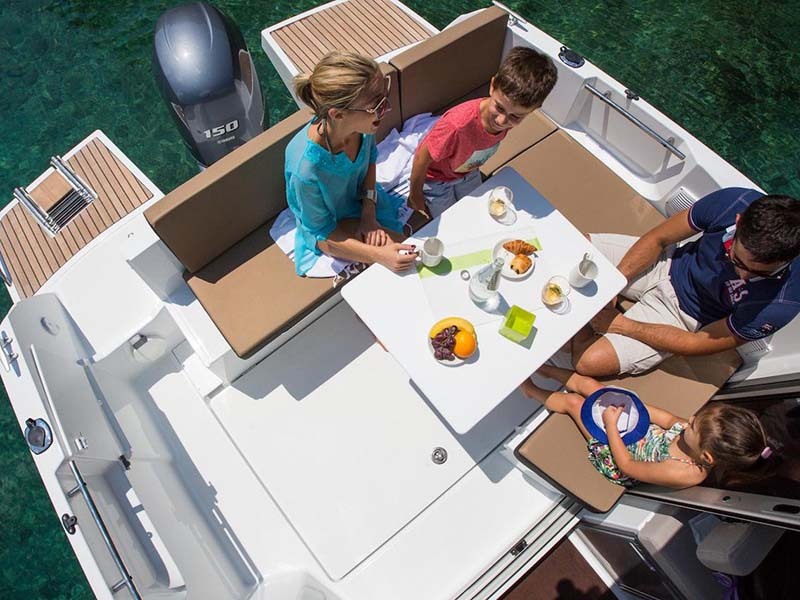 The Merry Fisher 795 is perfectly suited for a family of four. 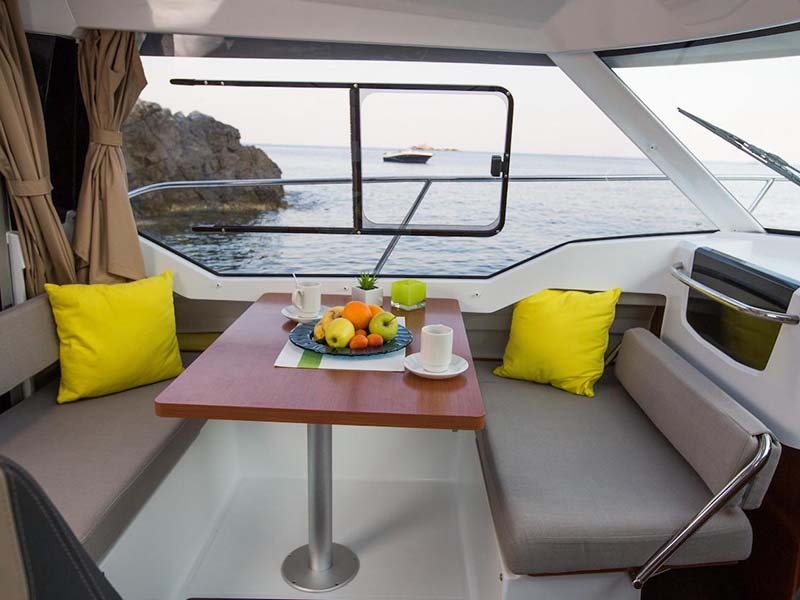 There’s plenty of room to overnight with a large bench seat dinette that converts to a sleeping berth for two. 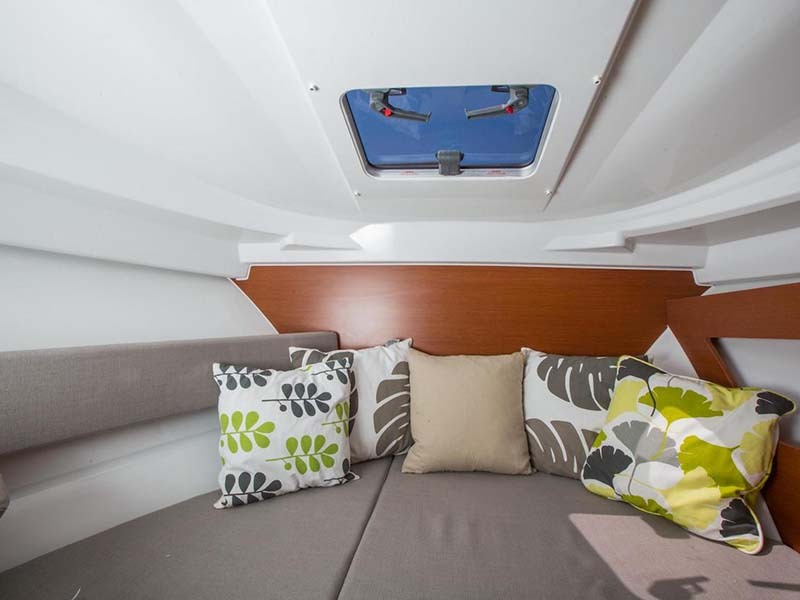 The forward berth comfortably accommodates tall couples. 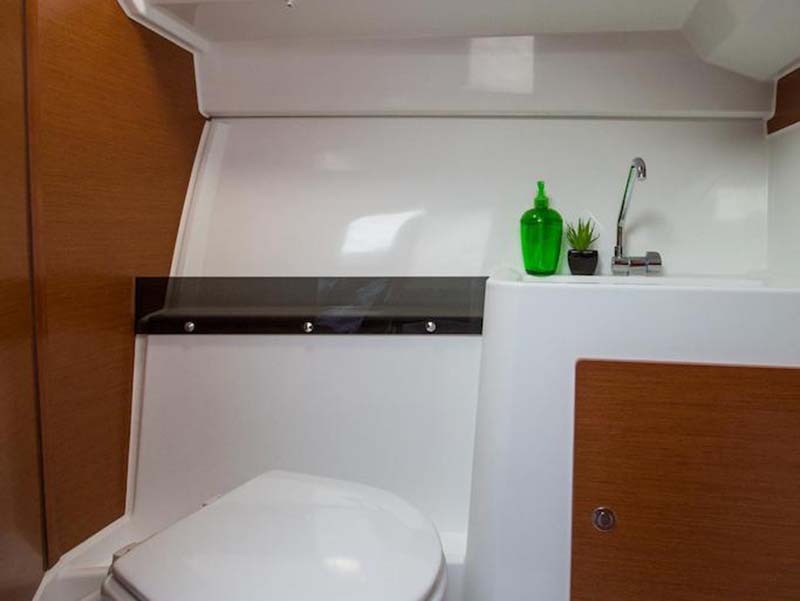 Forward is a marine head and sink with a holding tank. 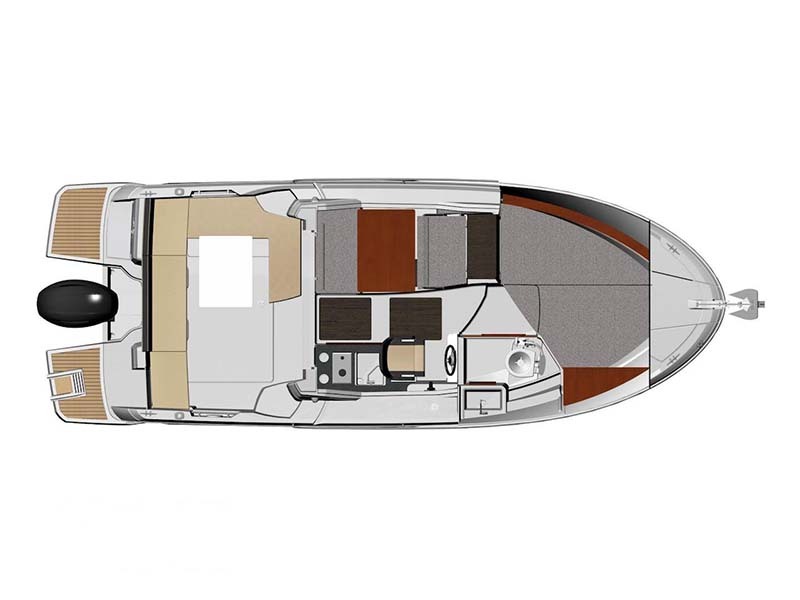 The starboard side galley is located aft to allow easy access to the cockpit. 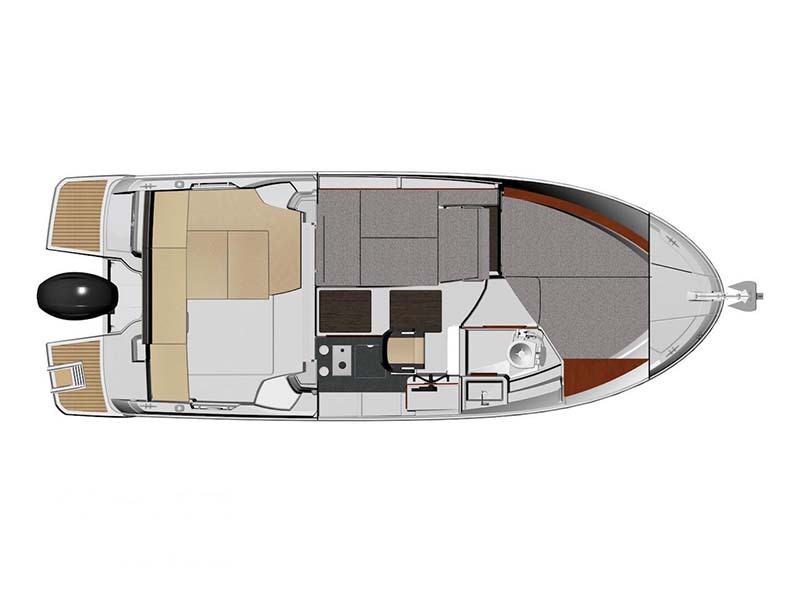 Side starboard walk around provides easy, safe access to the forward deck, which can accommodate sun pads.